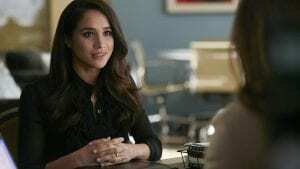 Rachel Elizabeth Zane, better known as Rachel Zane, was played by Los Angeles native Meghan Markle, who had (SPOILER ALERT) an onscreen wedding at the end of season 7 of Suits. Markle is also set for her happy-ever-after in real life, when she marries Prince Harry on Saturday 19 May 2018, which is incidentally the same day as the Emirates FA Cup Final. In the popular American legal drama Suits, Rachel Zane worked as a paralegal at Pearson Hardman for five years, until she gained admission into Columbia Law School and Stanford Law School to read law. She instead chooses the former to preserve her relationship with her then-boyfriend, now-husband Mike Ross, who is distrusting of long-distance relationships. She then also makes her decision to continue working at the (now) Pearson Specter Litt in the capacity of part-time summer associate, rather than as a paralegal. Want to learn more about how becoming a paralegal can lead to the training contract of your dreams? Register now for our free Training Contract and Vacation Scheme Conference! In England and Wales, a person becomes a paralegal simply by being employed as such. In my hiatus between graduating from the University of Exeter with a law degree in June 2014 and accepting my training contract offer at Bristows LLP in October 2015, I applied for paralegal positions as well as vacation schemes and training contracts as part of a three-pronged approach to secure the coveted training contract. A law degree is not a prerequisite to becoming a paralegal but, in my personal experience, it was the fact that I had not yet completed the Legal Practice Course (LPC) that proved to be my stumbling block. 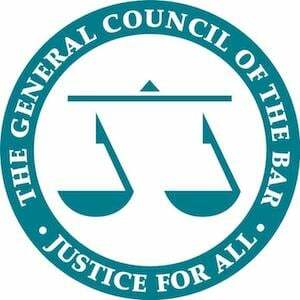 Unquestionably, the pursuit of a legal training contract is highly competitive and applicants for paralegal vacancies come from all walks of life, including those who have self-funded the LPC or even self-funded both the GDL and the LPC. It is highly desirous to be able to cite previous paralegal experience, usually spanning 6 to 12 months, but obtaining such experience in the first place is the difficulty as employers are naturally drawn to candidates with the relevant experience than those without. Whilst the competition to become a paralegal is not analogous with the limited training contract places that are available, the paralegal route is often seen as another point of entry into a law firm. The fictional character Rachel Zane worked as a paralegal for half a decade until she could finally pass the LSAT, which was the albatross that stood in her way of achieving her goal of reading law at Harvard Law School. This would pave the way for her to work as an associate at Pearson Specter Litt, which exclusively recruited from Harvard Law School. The rationale of working as a paralegal at a law firm, or even the law firm where you would one day want to train and qualify as an associate, is not entirely flawed; You would invariably have exposure to the day-to-day working life, ethos and vision of the firm as well as the opportunity to showcase your skillset, talent and potential. However, if [Insert Law Firm] is the Pearson Specter Litt to your Rachel Zane, I would suggest applying directly for a vacation scheme or a training contract as the paralegal route is not a ‘back-door’ to selection as a future trainee solicitor. Having taken the employment law elective on the LPC and spoken to graduate recruitment, the same performance metric will need to be applied to all applications for vacation schemes and training contracts. This means that experience as a paralegal, at the firm or elsewhere, a master’s degree, PHD or MBA cannot be given undue weight as the same selection criteria must be applied across the selection pool. Similarly, an aspiring paralegal in the Big Apple does not need to have obtained any specific qualifications. However, the Empire State Alliance of Paralegal Associations does recommend that paralegals should have at least an associate’s degree in paralegal studies, a post-baccalaureate certificate in paralegal studies or have paralegal studies as a major or minor in their bachelor’s degree. If you wish to become a paralegal in the Empire State, it is wise to enrol on a paralegal studies program that has been approved by the American Bar Association and such a program should afford you with the opportunity to gain paralegal experience whilst studying. Ultimately, if you want to be a future joiner at your Pearson Specter Litt in 2020, then apply for a vacation scheme or training contract as you will need to go through the training contract process whether or not you are working as a paralegal at the firm that you applying to. Don’t count yourself out, but keep the faith that you are good enough to be given a training contract offer and remember que sera sera, what will be, will be. Join hundreds of like-minded students at one of our TLP Aspire 'Get into Law' conferences!